Tuesday Night Comics Podcast Episode 68 – Archie Vs. Predator Reviewed! Convergence Week 3 Previewed! Are you a fanboy or fangirl who misses NBC’s short lived series about DC’s magical bad boy John Constantine? Then you need to get your hands on the recently released Justice League: Dark, DC’s latest offering from their animated film division. 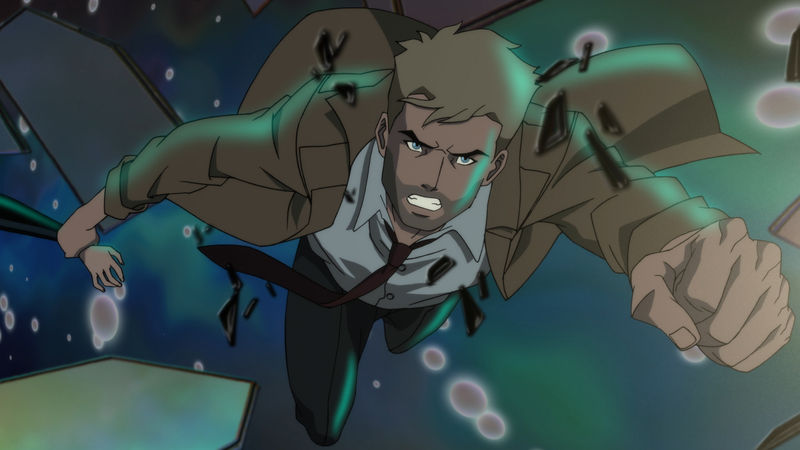 Constantine lead Matt Ryan returns to voice the character, who is the focal point of a new group of magic-based heroes brought together by Batman to deal with a problem out of the Justice League’s wheelhouse. Ryan brings all the charm that he brought to the live action series to this voiceover work. 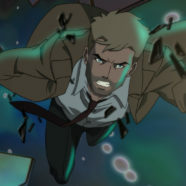 He is definitely the standout in this movie and I am hoping this is not the last time we find him voicing Constantine. The movie borrows from the early issues of the New 52 comics series Justice League: Dark. The team includes fan favorites like Zatanna, Deadman and Etrigan the Demon, and more obscure heroes like Black Orchid too. The screenplay was written by legendary Justice League writer J.M. DeMatteis, and directed by DC Animation all-star Jay Oliva. Right there, you know DeMatteis is bringing both great humor and great drama to the script and Oliva is bringing the insanely well choreographed fight scenes that he’s known for. Neither gentleman disappointed. It’s interesting watching this movie with its more mystical fight scenes. I feel like this is out of Jay Oliva’s usual domain, which usually leans heavily on martial arts. Producer James Tucker continues to prove why he was Bruce Timm’s rightful heir to the DC Animation throne. The worldbuilding that started in Justice League: War continues here, with a huge leap in characters this time. 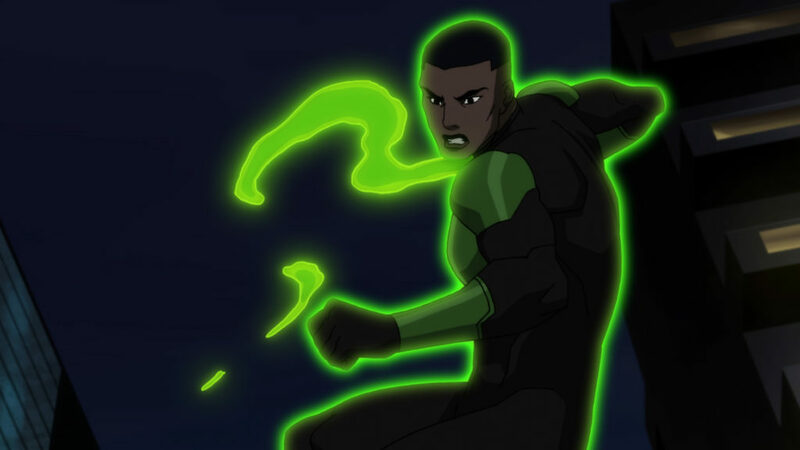 Most Justice League movies give us one or two new characters, but this movie gives us a whole squad (and brings in John Stewart briefly too!). 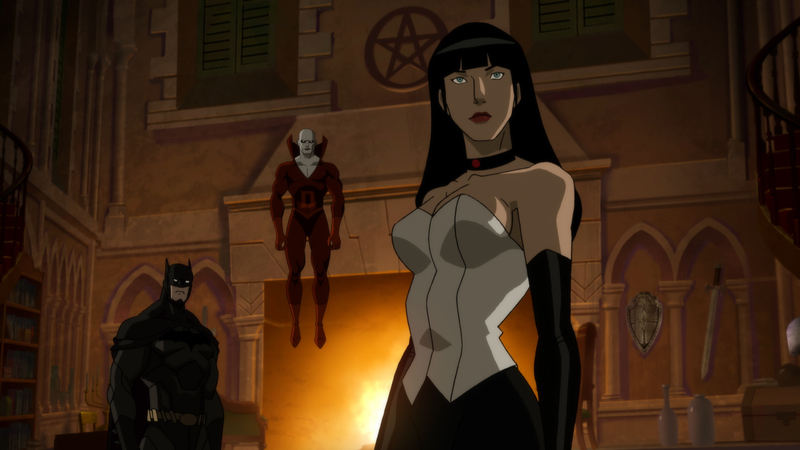 Characters like Zatanna and The Demon haven’t been seen in animated fare since the JLU days. Like every other DC animated movie, the special features are as good as the main movie. 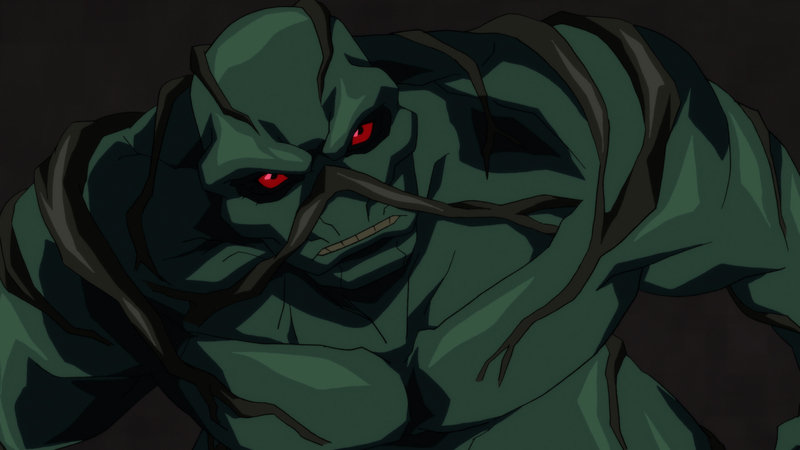 We get a Swamp Thing featurette on the Justice League: Dark disc. Swamp Thing’s co-creator, Len Wein, and a host of other creators who worked on the character are interviewed. The best part was listening to how Len Wein gushed over Kelly Jones when Kelly was first coming up in the industry, and how happy he was to work with him the recent Swamp Thing comic series. I really liked Justice League: Dark, and definitely recommend buying it. There is a limited edition version that is worth picking up if you can find it. It includes a John Constantine figurine in the art style of this movie. Amazon has it for sale here. Shopping at Amazon through our links helps support Tuesday Night Movies.